To create calendar we will create one simple html page with jQuery script tag included in header. This is required to use the date property and displaying the same. Inside body tag we will create table with id calendar. We have by default listed all the days of month in this table. Now using jQuery we will add dates from next row based on the start days of the month. Below is the HTML code for reference. We have used two ids “month_year” to display the month and year with “calendar” to display the complete calendar dates. CSS of our html page calendar is below. You can use the same or change as per your requirement. Now we will write the jquery code to on document ready state. To create calendar in jQuery we need current month, current year, last day of the month and start date of the month with weekdays ie. Monday, Tuesday etc of start date. Lets call function calendar with two passing variables year and month in number format. ie. calendar(2018,06) will return July calendar of 2018 year. Now we have month and year. We need last day of month, first day of month and weekday of first day. Lets write function to get the last day of month, call it getLastDayofMonth and create a new variable lastDay and assign new date() to that. Now we can call all the property of date function using lastDay variable. 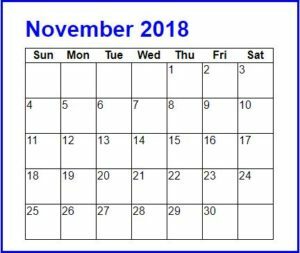 We will use setDate and setMonth to set the next month and first date of next month for which we need to generate the calendar. In that way we will get the last date of current month. Now we will write calendar function to display the calendar in our html under calendar id. Now below is complete jQuery code once again.